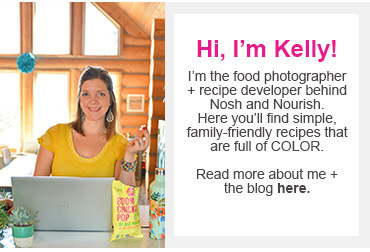 Hi Nosh and Nourish readers! 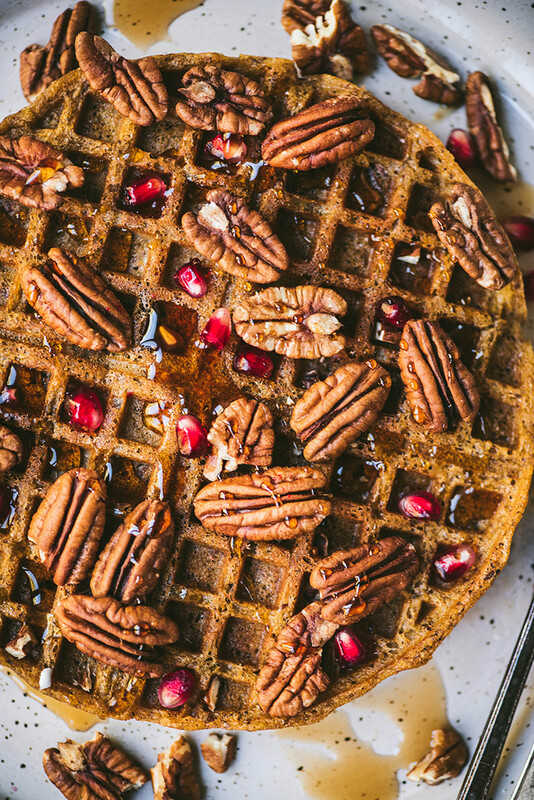 Lexi and Beth from Crowded Kitchen back again, bringing you a delicious gluten free/vegan pumpkin pecan waffle recipe, just in time for weekend brunch planning! Or the holidays! 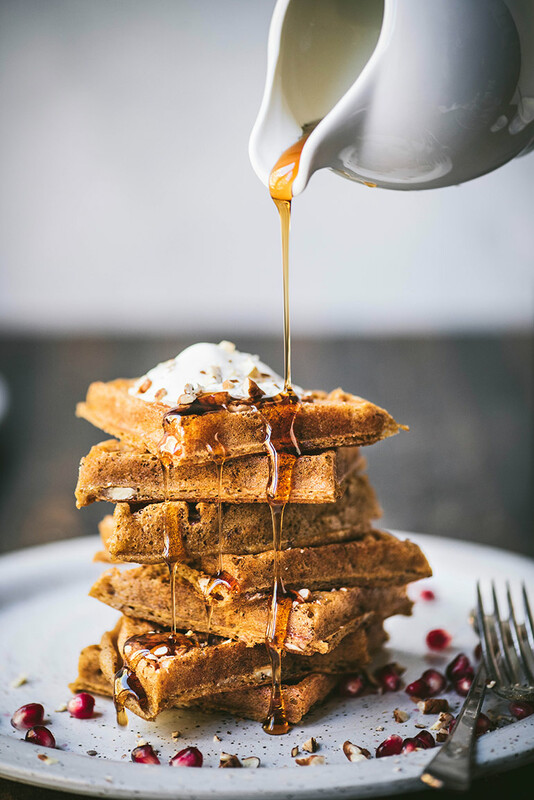 If you’ve ever made gluten free/vegan waffles (or pancakes), you may be familiar with the struggle of attempting to achieve the crispy exterior and fluffy interior that makes waffles so dang good. Because of the lack of gluten and eggs, it’s much more difficult to achieve said texture, but after many, many recipe attempts, we’ve landed on one that the whole family enjoys! We’ve also found that the texture differs between different waffle makers. 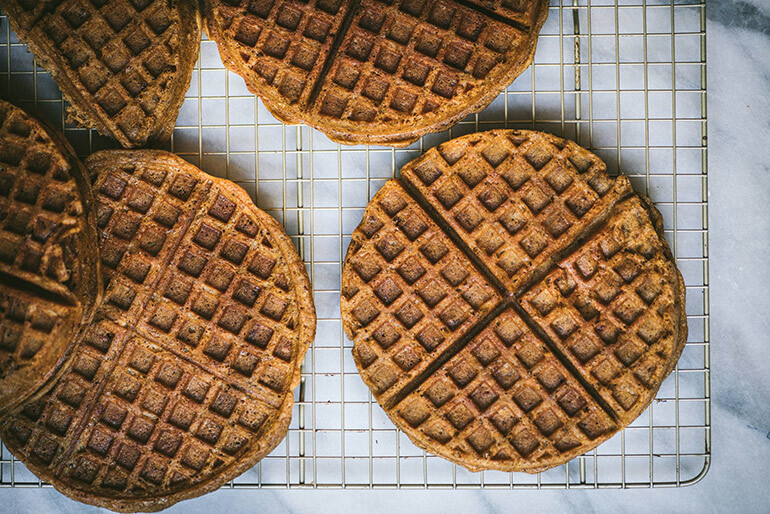 For these, we used a round waffle maker that produces relatively thin waffles, which allows these to get nice and crispy on the exterior. We have another, larger square waffle maker that just doesn’t seem to work with these - no matter how high we crank the heat, they never seem to turn out as well as these did. That being said, the flavor is still delicious either way, we just wanted to let you know what has worked best for us! Top with pecans, pomegranate arils, syrup and/or dairy-free whipped cream. MMMMMMMM. Make flax eggs by combining 2 tbsp flax meal with 5 tbsp water. Let sit to thicken for 10-15 min, stirring several times. Drain beans and reserve the liquid. If you have a stand mixer, pour all of the bean liquid into mixing bowl and mix at medium high speed for approximately 10 minutes, until it foams up and forms stiff peaks (should look similar to egg whites). Whisk together flour, baking powder, pumpkin pie spice, salt, and xanthan together in a medium bowl. 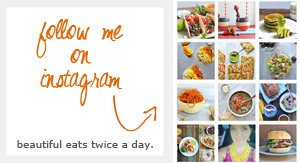 In a separate bowl, whisk together pumpkin puree, butter, milk, flax eggs, maple syrup, and vanilla. Slowly incorporate to dry ingredients, using a hand mixer. Stir in pecans, and gently fold in all of your aquafaba. Cook in waffle maker until golden and crispy. Top with maple syrup, whipped cream, pomegranate seeds and pecans.